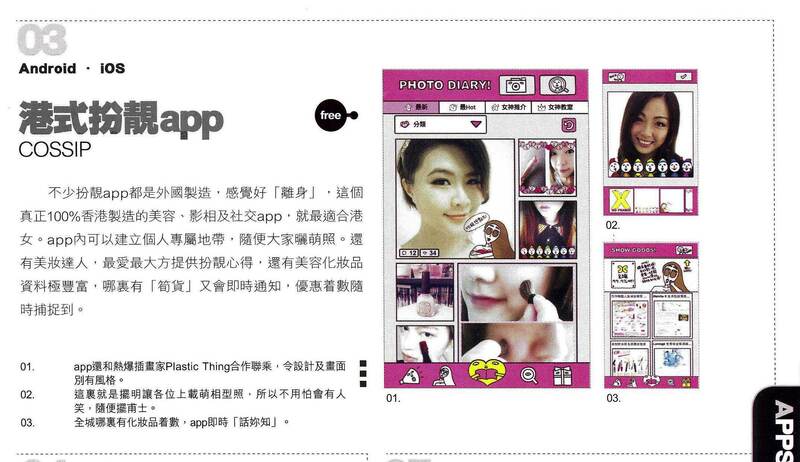 Become a beauty enthusiast by sharing pictures and audio clips through personalized diary entries. Need ideas for a new makeup look? Follow other experts and makeup professionals to see what’s trending today! Looking for a specific product? Our extensive database has what you are looking for. Find detailed product information and see what others have to say all in one place by simply inputting keywords. Stay tuned for special events to win awesome prizes. Collect points to redeem hot items and perks. The more active you are, the better your rewards! See the skincare regimes and makeup looks your friends are using today through news feed updates. Admire and be admired by having fans follow your posts. Exhibit your prized makeup and skincare collections and see what must-haves are in the makeup bags of your friends. 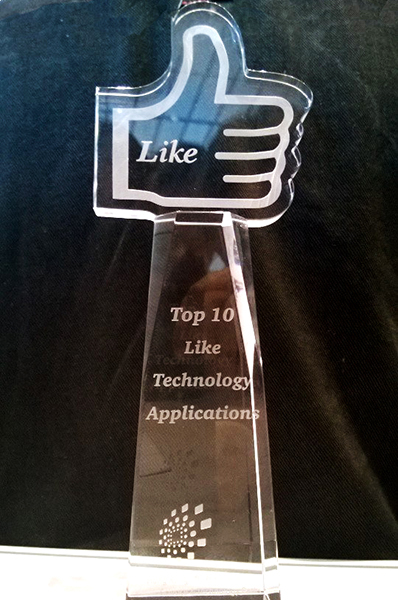 COSSIP mobile apps has been one of the Top 10 “Like” Technology Applications Awards in Hong Kong Science Park. 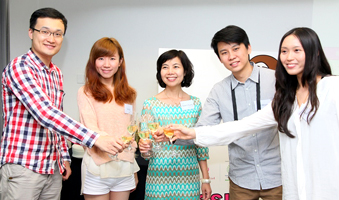 Cossip Girl LTD has been announced and showcased during Hong Kong Science Park Incubation Graduation Ceremony on 27 March 2014. 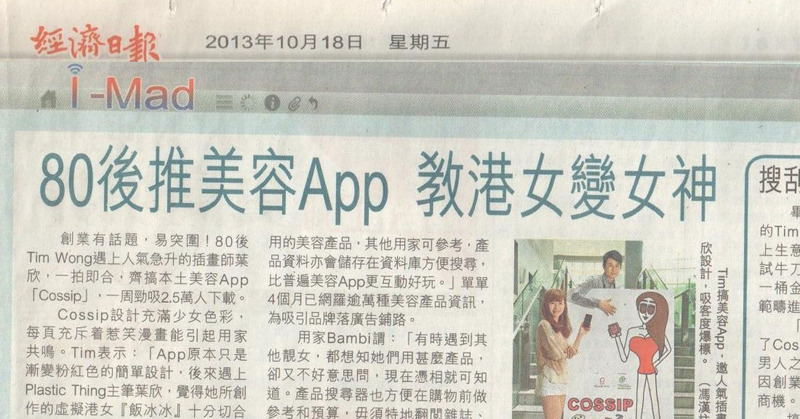 Cossip Girl Limited joined HKSTPC's Incu-App Programme in 2012 and has since started to develop its "COSSIP" beauty app. 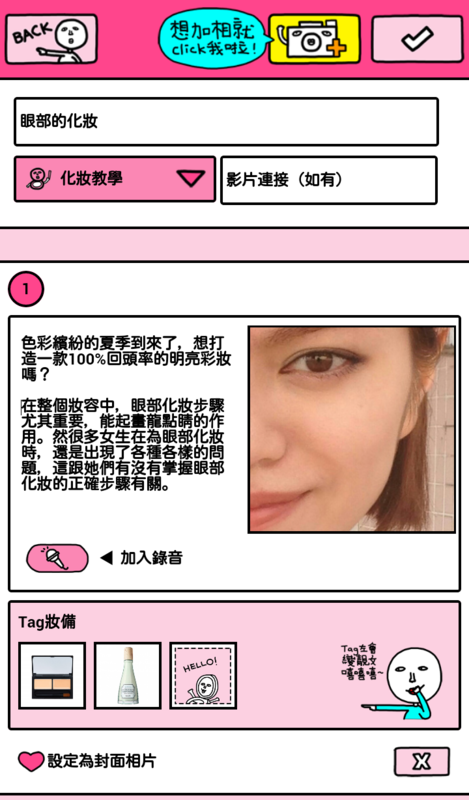 Combining the elements of cosmetics and gossip, "COSSIP" aims at establishing a playful community for ladies to share beauty and cosmetic tips. 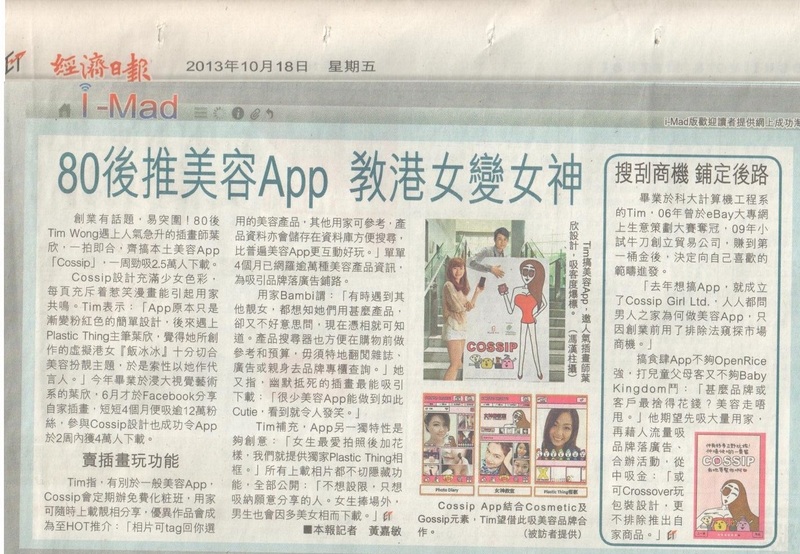 Cossip Girl Limited is a fast growing technology innovation company that specializes in the development of social platforms. We strive to promote the use of social networks by providing accessible and welcoming stages for individuals to meet and communicate with others of similar interests. Established in 2012 with the vision of promoting “Less Gossip, More Cossip”, our ambition is to inspire individuals to stay away from gossip and to instead, Cossip. 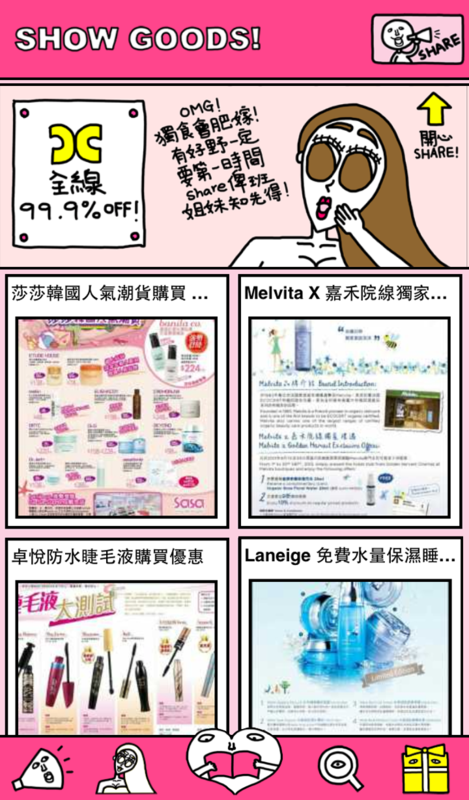 The word “cossip” originates from the creative combination of the two words “Cosmetic” and “Gossip”, and hence has the meaning of beauty product discussion. [cossip (cos·sip) noun the talk or discussion about beauty products and beauty care]. Apart from platform development, we work closely with our strategic partners to leverage ideas and to facilitate business expansion opportunities. 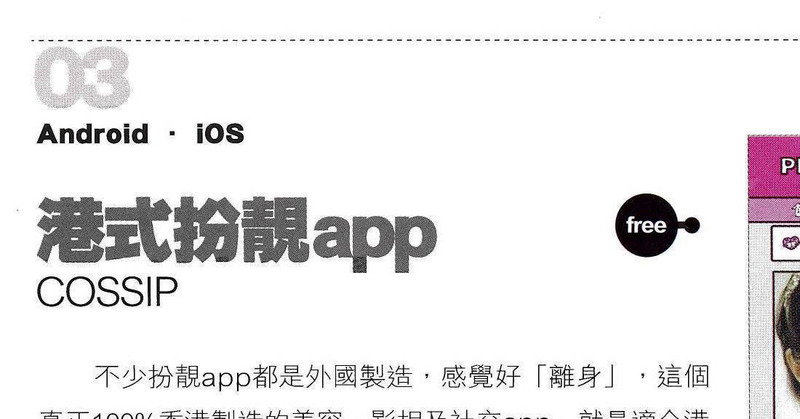 Our strong team includes Guru Online, Viral Digital Studio, MobiAppApp and Ms Sharing. The business aspects we cover include but are not limited to online marketing, buzz marketing, ad making and software development. For questions and enquiries, please give us a call at (852) 3105 0018 or send us an email at info@cossipgirl.com. We welcome business opportunities and would love to hear from you! To cope with our business needs, we are seeking innovative and energetic talents who are eager to learn, responsible and be passionate at work. We offer an attractive remuneration package, including 5 days’ work, medical coverage and bank holidays to right candidates. Interested parties please send full CV with expected salary to Mr. Wong at hr@cossipgirl.com. 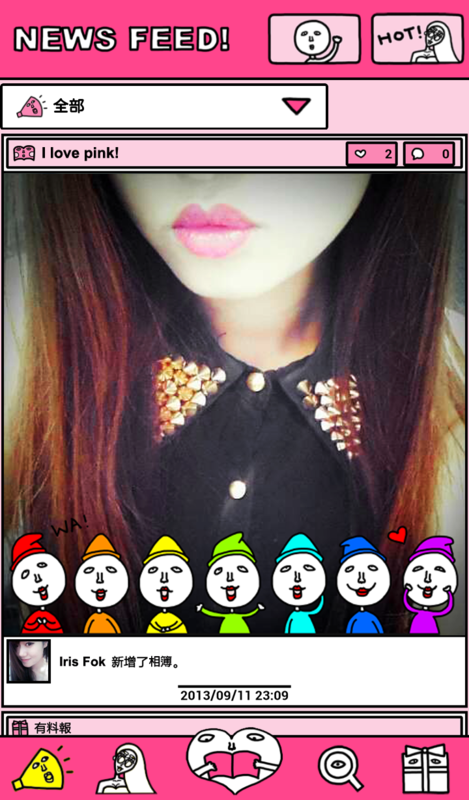 © 2013 Cossip Girl. All Rights Reserved.